Like most medical practitioners, optometrists are increasingly finding themselves dealing with the pressure of online competition. It might seem easy to just ignore the trends of social media, responsive websites, and blogging, but the reality is if you aren’t keeping up with the trends, your competition is. And if your competition is keeping up with the trends, you’re likely losing business. But how do you make an optometrist website that meets the needs of visitors and accomplishes your business goals? Read on to learn more about how creating a stellar website will help you grow your optometry practice, attract new patients, and project an image to the public you can be proud of. Perhaps the most important part of making a website that really stands out is ensuring it is customized. After all, there are so many websites produced each day that templates tend to make their rounds and become easily recognizable. Template websites also tend to lack the functionality that you might want from your website. For example. You could want patients to be able to schedule an appointment online and send you secure HIPAA compliant emails. Unfortunately, these are premium features that most templates either do not have or offer in partiality – meaning you get one but not the other or you can’t tweak the system to function as you want it to. Some web developers, particularly those who work independently, tend to try to hack templates to make them work for practices, but this often creates a mess on the back end of a website and ultimately leads to more work for a less than stellar product. Learn more about choosing between a web design company or an individual designer here. By working with a team experienced in building websites for optometrists you can get a website that is attractive, functional, and most importantly accomplishes your business goals. Take a second to think about how you browse the web. Chances are you spend time on your phone, desktop, and tablet throughout the day. Each device is a different size and offers a different resolution. Because of that, websites that are not responsively designed look terrible on nearly every device but the desktop. This makes navigating the site difficult and also impacts a person’s ability to click call-to-action buttons. 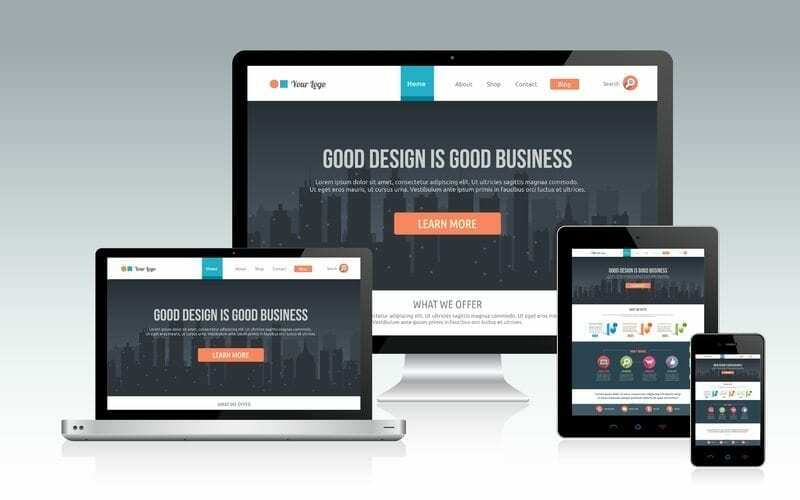 A responsive website, however, offers visitors an online experience that is customized to their device. So people visiting on their phone or tablet will be able to enjoy their time spent on your site and even be moved through your sales funnel faster. Your website should be a place where visitors come for information. You want them to arrive, spend time, and take in whatever you have to offer them. A blog is where you will most often get repeat visitors to your website. This useful space is where you can share information about your day to day life as an optometrist, post content that is strategically crafted to answer questions people might be seeking answers to, and encourage people to share their content with others. Blogging plays an important role in establishing a connection with your audience and in search engine optimization. SEO is the process of creating content that answers questions people are seeking answers to through search engines like Google and Bing. The more relevant your content is to the questions being asked, the more likely you are to rank on search engine results pages and have people click through to your website. This organic traffic is incredibly valuable and tends to be high quality because it is people who are already interested in what you have to offer. Your only job is to meet their needs. Most people who wear glasses are pretty picky about the brand of glasses they wear. By creating a page that is dedicated to the eye wear brands you carry you’re helping to eliminate the frustration that comes with a patient finding out their brand isn’t carried. Additionally, you’re creating content that could get you to rank for certain brands in your geographic area and eliminating the need for patients to call in to see if you carry a brand. This saves both your office and patients time. Every optometrist is different and because of that the look and feel of your website will differ. For example, an eye surgeon website will have a distinctly different appearance than a website targeted at a more general population. Whatever you specialize in, it’s important your website advocates for your brand. Make sure you work with a team that is experienced in branding and web design. You want to find your voice, the right colors, and the right tone to communicate your practice’s unique personality and appeal to your target audience.